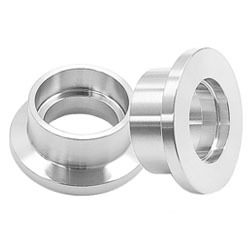 Stainless Socket Weld Flanges are appropriate for connecting the pipe end. These ensure flawless flow of various fluids through pipelines. These flanges are counter bored to accept the pipe prior to being fillet welded. The bore of the flange and pipe is the same therefore giving superior flow characteristics. These flanges are available in various sizes, shapes and dimensions to fulfill the requirements of different industries. F 304, 304L, 304H, 316, 316L, 316Ti, 310, 310S, 321, 321H, 317, 347, 347H, 904L. Available Size : 1/8" NB TO 48"NB. Available Class : 150#, 300#, 600#, 900#, 1500# & 2500 #. Stainless Steel Threaded Flanges are perfect for high pressure application in the industrial piping systems. 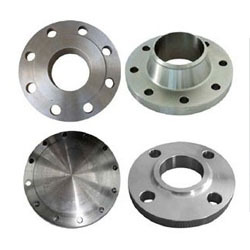 Extensively used to connect other threaded components in low pressure, non-critical applications, these flanges don't require welding. 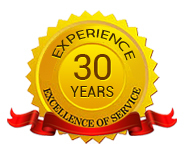 These are available in various dimensions and designs as per the process requirements of our clients.